The Oil & Gas industry has many stakeholders and multiple departments including security, safety and operations – each of which have their own requirements. IQ-Oil & Gas is a comprehensive portfolio of applications that can fulfill each department’s specific requirements while operating as a single integrated system to ensure quick distribution of information to all concerned when any event occurs. 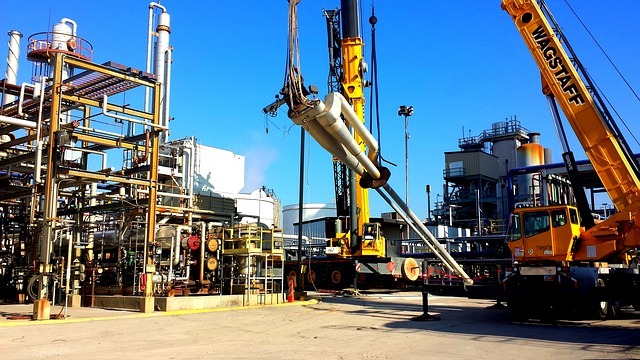 The Oil & Gas industry operates in a relatively hazardous environment and consequently invest a lot of time and money in implementing safety processes to avoid any disasters from occurring. The Oil & Gas industry involves more than just the normal factory environment, as their businesses also operate in remote outdoor areas, even offshore and desert areas, which are not always manned. These areas also have complex lighting environments, such as dust storms, which are likely to affect the accuracy of a video analysis system. iOmniscient provides a comprehensive video analysis system that is able to perform a variety of applications, from simple to complex perimeter protection, gas leak detection and smoke and fire detection. 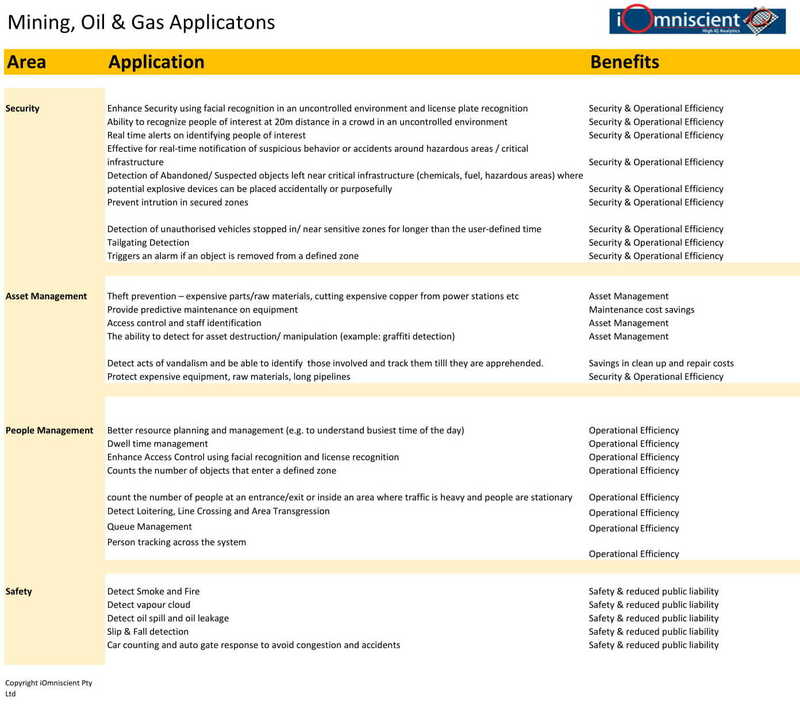 All of iOmniscient’s products are armed with Nuisance Alarm Minimization Filter (NAMS) to provide the most accurate and reliable alarm system that is suited to the needs of the Oil & Gas industry. is the technology leader in video analytics and already has many satisfied customers throughout the world in the Oil & Gas industry.